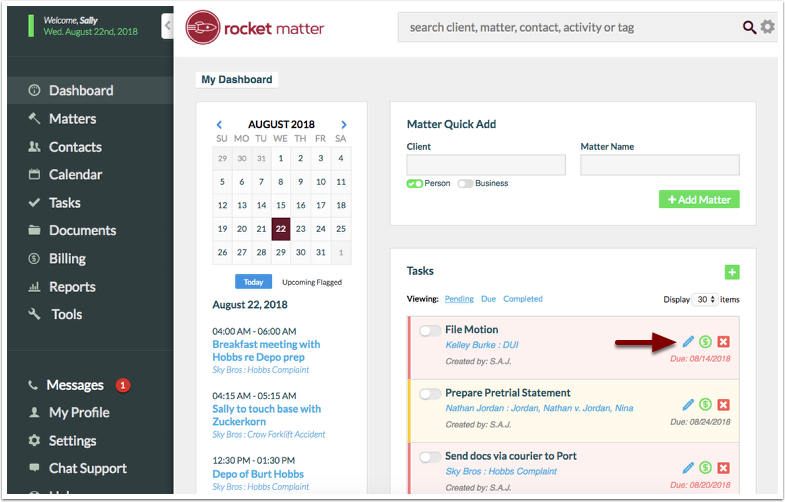 Rocket Matter Knowledge Base TasksHow to modify a task. 1. From the main dashboard or matter dashboard, click on the blue pencil associated with the task. 2. 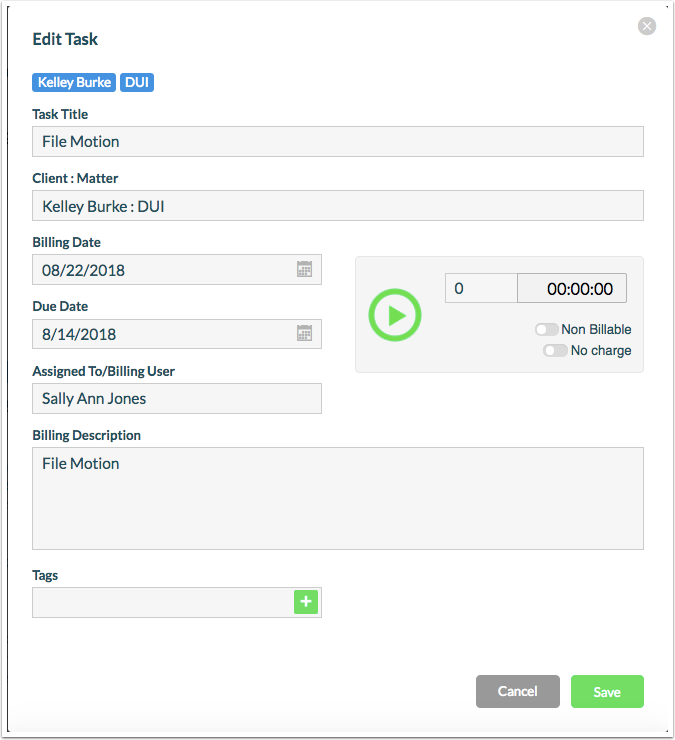 Modify the task details and click 'Save' when complete! Prev: How to add a task. Next: What is Tell Tali?